Searching for trade shows in Florida for 2019? 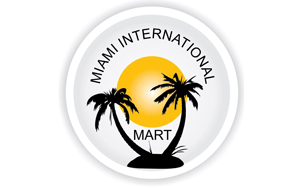 The Miami International Mart is well known for bringing in merchants and exhibitors from all over the world. Retailers get an opportunity to meet and greet all kinds of vendors and purchase everything they desire at a low price. At Miami International Mart, retailers can find over 4,000 products from 35 suppliers. The biggest advantage for consumers at Miami International Mart 2019 is the fact all the merchandise bought from all these different vendors can be taken care of in just one shipment. Miami International Mart trade shows follow traditional 9am – 5pm business hours and offer daily breakfast and lunch to all attendees, so you have the energy to walk the show floor to your heart’s content. The Miami International Mart show brings to you some of the best products in general merchandise, food, health & beauty, and much more. Since everything you purchase is shipped in one order, Miami International Mart serves as your logistics headquarters for export and local delivery. For 2019, the trade show guarantees you’re getting the best possible deals, discounts, promotions, and closeouts available from all vendors that travel from all around the country. Whether you are looking to import consumer electronics for your retail store, new beauty or health products for distribution in your country, for your specialized online store, finding the right supplier is essential for any business. Being able to see all the products that you need and more in one place can save you a lot of money and time. Miami International Mart has four upcoming show dates for 2019.